Where can you find peace of mind and enjoy total physical relaxation both at the same time? Yuubi Kenkou Land has excellent wellness care facilities to give you a rest from the hustle and bustle of daily life and to help you feel relaxed from head to toe. 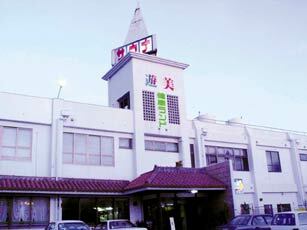 Several wellness facilities such as a sauna are provided at Yuubi Kenkou Land, and they offer a bath that contains Chinese medicinal herbs, which are good for your health and can provide relief from various physical conditions including muscle pain, arthritis, chronic skin inflammation and chronic women�fs ailments. A steam bath, which is open to women only and is good for the skin and hair, is also available. The facilities feature a pool bath, warm-water bath, cold-water bath and waterfall bath where you can sit or stand under an invigorating stream of falling water. In addition, an esthetic salon, oil massage and skin scrubbing, which removes old scales as well as promotes good circulation, are available. Here is one suggestion on how to enjoy Kenkou Land. First, take a shower to clean up and then soak in the herbal bath. Be sure to get into the bath very carefully because the water measures 40 degrees Centigrade (104 degrees Fahrenheit). After the bath, take advantage of the sauna. When your body is well heated, jump into the cold bath; the sudden temperature change will be incredibly refreshing. At the very end, relax in a warm bath, and it is guaranteed that your body and mind will enjoy total relaxation. Yuubi Kenkou Land draws fresh groundwater and produces 100 tons of soft water every day after removing microbes, salt and chemical materials. The water, which is then purified by a reverse-osmosis film, is so clean that it can also be used as drinking water. Yuubi Kenkou Land is located near Camp Courtney, and many Americans enjoy the facilities; however, they usually only avail themselves of the massage and don�ft try the bath. Yuubi Kenkou Land highly recommends that American visitors take advantage of their bath facilities because the bath improves blood circulation, promotes a healthy physical condition and helps you stay in shape. The bathing fee is \1,400 per person for adults and children 12 years of age and older and \700 per child under 12. The massage runs from \3,000 per person. They provide all bathing materials, from towels to soap; all you need to do is just show up. Getting to Yuubi Kenkou Land is simple: From Okinawa City, take Route 75 towards Camp Courtney. After passing the Agena intersection, you will see McDonald�fs, A&W and Moss Burger on your left. After passing Moss Burger, turn right at the first intersection, with Castle Highlander on your left. After turning right at the intersection, Yuubi Kenkou Land will be right in front of you. They are open 24 hours a day, seven days a week and are always ready to welcome and serve you.